Our Applied Respirator Airline Hoses are designed with only top quality materials and uphold their reputation of high durability and reliability. Our airline hose consists of medical grade material to ensure the air being fed to the operator’s helmet does not get contaminated. 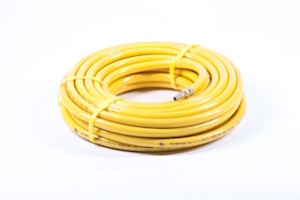 The airline hose connects the breathing air supply from the Respirator Airline Filter to the Respirator Helmet or the additional Air Flow Controller, Air cooling Controller or Climate Controller. Our hoses are available in various lengths and can be supplied with adapter kits for conversion/upgrading of your respirator assembly. Rapid filter can be easily changed with an Applied Filter Cartridge including new flanges, locking ring and seals.